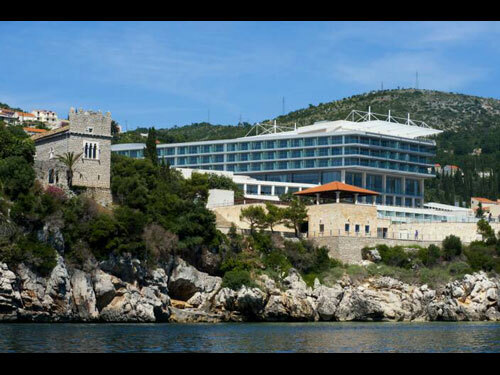 Radisson Blu Resort & Spa, Dubrovnik Sun Gardens Enjoy a privileged location just steps away from a picturesque beach and superb restaurants. Radisson Blu Resort & Spa, Dubrovnik Sun Gardens The Radisson Blu Resort & Spa Dubrovnik Sun Gardens is situated along the Adriatic coastline in the small village of Orasac, located 8.5 km from Dubrovnik. 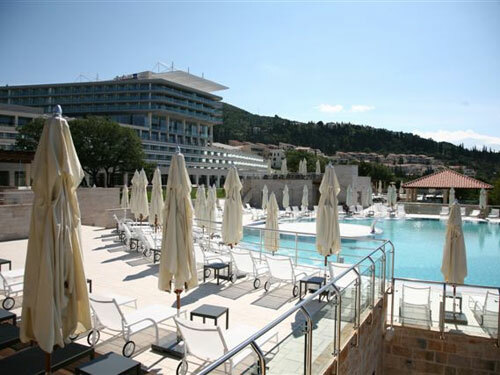 Enjoying a privileged location just steps away from a picturesque beach and superb restaurants, The Radisson Blu Resort & Spa Dubrovnik Sun Gardens is situated along the Adriatic coastline in the small village of Orasac, located 8.5 km from Dubrovnik. 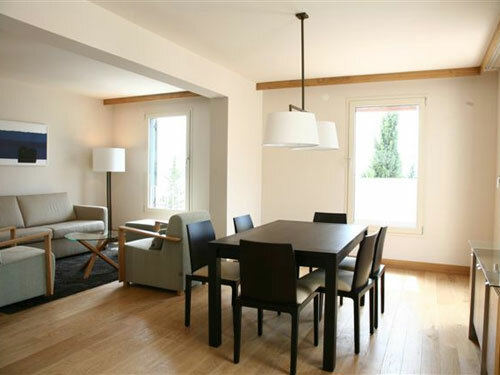 The property is well-connected to the road, being close to all the attractions in the area, at the same time offering peace and tranquillity. The exclusive resort boasts stylish accommodation with private balconies and an amazing sea view. Soak up the sun on one of the 150 lounge chairs on the exclusive beach and enjoy dining at one of the many diverse restaurants of the Radisson Blu Resort. There is a rich offer of sports facilities, located on an area of 6.000 m², and 3.500 m² are dedicated to a wellness and spa area. The Sports Complex contains a state-of-the-art fitness centre, a rock-climbing wall and many other facilities. Families can fully relax as there is an extensive childrens day camp for 4 to 10-year-olds, where they can play or swim in the pool. Enjoying an enviable seafront location on the Dubrovnik Riviera, the Radisson Blu Resort & Spa, Dubrovnik Sun Gardens is set in glorious Mediterranean gardens close to countless attractions. A pebble beach with a marina lies just steps from the resort, while nearby guests can enjoy walking in the beautiful surrounding countryside. The historical city of Dubrovnik, with its charming Old Town World Heritage Site, is just 10 km from the resort and is easily accessed by shuttle boat or bus. The resort is a wonderful base for taking memorable day trips, such as a cruise around the stunning Elaphite Archipelago or exploring the tranquil gardens of the 15th century Trsteno Arboretum. Cilipi International Airport is just 35 km from the resort. 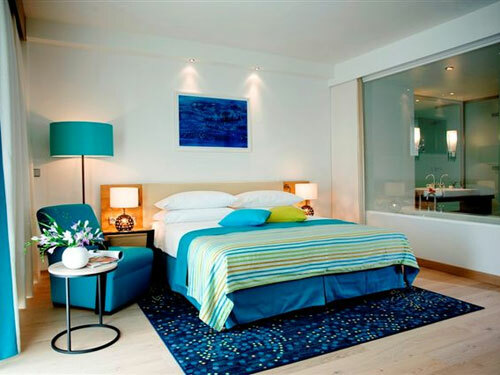 Understated elegance and supreme comfort epitomise the spectacular range of 201 guest rooms and suites and 207 residences at the Radisson Blu Resort & Spa, Dubrovnik Sun Gardens. A testament to cutting-edge design and quality craftsmanship, the accommodation is a calming oasis of blue and green tones and white accents, echoing the resort's tranquil Mediterranean setting. All rooms and residences are equipped with top-class amenities and feature an elegant terrace/balcony for taking in the magnificent surrounding views. Add an extra touch of luxury to your visit with a stay in one of the resort's exclusive suites comprising 20 Junior Suites, 2 Executive Suites and 2 spectacular Presidential Suites. Combining beautiful contemporary design and outstanding comfort, the resort's 207 exclusive Mediterranean-style residences are the perfect home from home for families or groups of friends travelling together. For the ultimate stay, the residences offer spacious interiors offset by oak floors and the highest quality, minimalist furnishings, as well as sunny balconies with either sea or garden views. Choose between elegant 1, 2 and 3 bedroom residences ranging in size from 56.5 m² to 125.5 m², all comprising a well-equipped kitchenette, an airy lounge and dining room and a superbly appointed bathroom with luxurious Anne Semonin products. 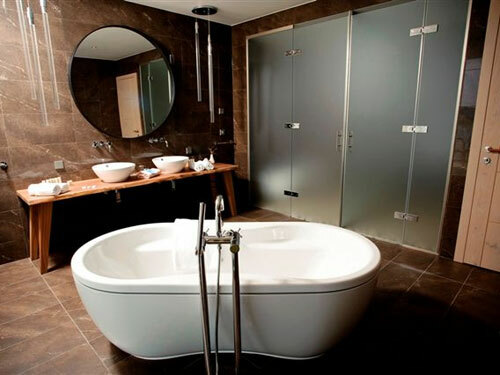 The 2 and 3 bedroom residences feature an extra bathroom with a large bathtub, as well as a separate shower room. All residences benefit from top-rate amenities including a dedicated reception, a flat screen TV, free high-speed wireless Internet access, an in-room safe deposit box that can accommodate a laptop, a pull-out sofa, bathrobes, a hair dryer, an iron and more. 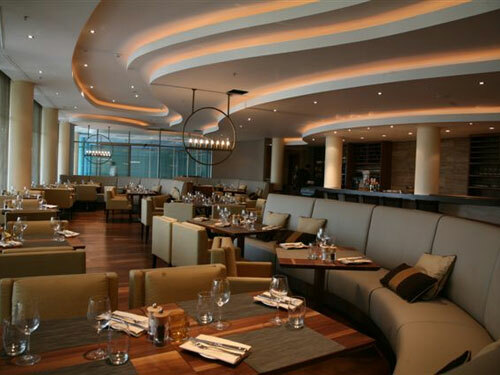 Gourmet heaven is the only way to describe the dining options at the Radisson Blu Resort & Spa, Dubrovnik Sun Gardens. Guests are spoilt for choice with a fabulous array of restaurants, poolside eateries, bars and a unique Market Place concept, serving up delicious international and local dishes. The resort has 13 restaurants and bars. Guests may sample snacks and cocktails overlooking the Adriatic at Maraska Lounge Lobby Bar, an international menu and outdoor seating at Origano and authentic Croatia fine dining at Tartufo. Ginja Lounge is a nightclub with an international fusion menu prepared in an open tandoori oven, deejays and an outdoor dance floor, and Cilantro Lounge is a family-friendly Mediterranean café offering extended breakfast hours. The resort features a 37,000-sq.-ft. beachfront spa from Anne Sémonin. The first Anne Sémonin spa in Croatia, it offers seven individual treatment rooms and two couples' suites nestled around an outdoor hot tub. Anne Sémonin treatments created exclusively for the resort include Thalassotherapy Therma Stone Experience, 100% Active Ice Therapy Facial and Black Sand Scrub & Ocean Massage Ritual. Spa and wellness facilities also include a 75,000-sq.-ft. sports and wellness center, offering a 60-ft. lagoon pool with a waterfall and underwater vitality jet lounges, a hydrotherapy pool with therapeutic massage jets, an inner spa garden and a thermal area offering a traditional coal sauna, salt sauna, hammam, aromatherapy steam room and large plunge pool. With its first-rate Sports Center, the Radisson Blu Resort & Spa, Dubrovnik Sun Gardens is a paradise for sports enthusiasts. Work out at the fully equipped gym and choose from a superb range of indoor and outdoor on-site activities for all the family including rock climbing, football and tennis. Rounding out the superb sports facilities are the luxurious changing rooms, a Coffee Shop for grabbing drinks and snacks on the go, and a sports shop. Guests are spoilt for choice with three stunning outdoor fresh water pools and pebble beach. To maximise enjoyment for all, one pool is designed specifically for adults, one for families and the other is open to non-residents. After a refreshing dip, recline on the resort's ultra-comfortable loungers and catch the sun's rays. Thanks to the resort's comprehensive children's activities and childminding services, parents can relax in the knowledge that their children are being taken care of by professionals in a caring and safe environment. The resort offers a fun Kids Club, Teen Zone and babysitting services for children aged 6 months to 15 years. 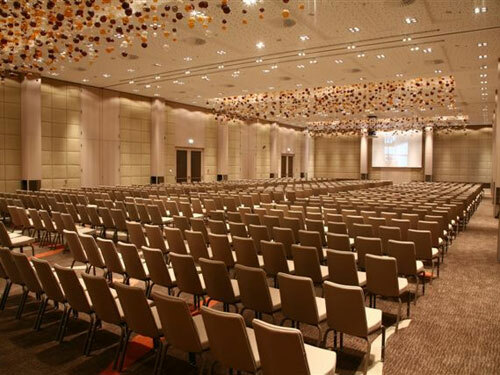 With its stunning setting, accessible location and exclusive facilities, the Radisson Blu Resort & Spa, Dubrovnik Sun Gardens is the ultimate destination for hosting conferences, incentive trips and banquets. Spanning an impressive 1800 m², the resort boasts 8 meeting rooms on two levels including an 753 m² ballroom that can easily be divided into three separate areas and comes with a pre-function area. Enjoying natural light, all rooms are equipped with free high-speed Internet access, top-of-the-range audio visual equipment and individually controlled air conditioning. Our professional events team will work closely with you to plan your event to the last detail and cater for all your needs on the day.